Dallas Data Center Market One of Largest, Most Active in U.S. The Dallas data center market has solidified its position as one of the largest and most active data center markets in the U.S., and the region is in the throes of a data center building boom, with hundreds of megawatts of potential capacity on the drawing board. 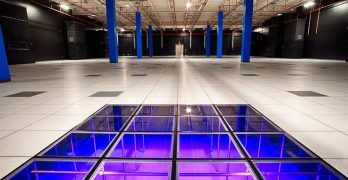 The Dallas data center market is already home to 2.99 million square feet of commissioned data center space, which translates to 334 megawatts (MWs) of commissioned power, according to datacenterHawk. 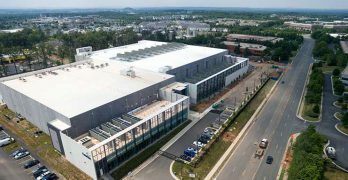 This makes the region the third-largest data center market for capacity in the U.S., behind Northern Virginia and Silicon Valley. Download the new Special Report covering the Dallas Data Center Market. What makes the Dallas data center market stand out? Most noteworthy is the diversity of its data center ecosystem. Demand spans all sectors of the data center industry, including retail colocation, wholesale data center space, powered shell and build-to-suit projects. 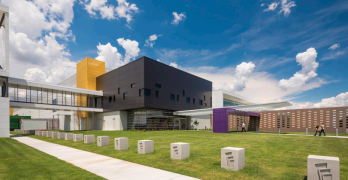 The growth is being led by major wholesale data center providers, who are adding capacity and “creating multi-building campuses for future growth,” according to the latest special report on the Dallas market from Data Center Frontier. At the close of the first quarter of 2018, there was already 50 MWs of available power capacity, with an additional 11 MWs under construction. Perhaps most importantly, an impressive 570 MW of additional capacity is in the planning stages, a sign of confidence that growth will continue. Data center demand in the area is high, evident in the region’s vacancy rate of 15.0 percent. But there remains a question. Will the Dallas data center market come out as a leading market for hyperscale data centers? The Dallas market has been driven primarily by enterprise customers and service providers, but time will tell whether the area will begin winning hyperscale projects — and it’s bound to be a deciding factor in the market’s future fortunes. Despite all the data center development activity, supply and demand appear to be well balanced. Most of the active developers in Dallas are experienced data center operators, with a history managing phased construction projects that manage capital (and risk) as they bring new capacity to market. Initial growth in the market began in downtown Dallas, in part because of the district’s telecommunication infrastructure. But these days, to find the area’s data centers and capacity, you’ll have to visit several sub-markets. These include major carrier hotels in the downtown Dallas area, as well as wholesale data centers in what’s known as “Telecom Corridor” in Richardson and the northern suburbs. In the up-and-coming spot — Garland — the availability of land is contributing to the growth of a cluster of wholesale data center providers. 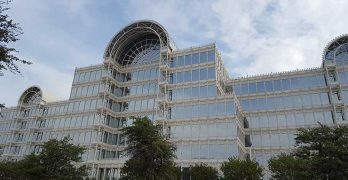 To the West, in Fort Worth, Facebook is the crowing jewel of a growing cluster of data centers. The Dallas data center market has grown steadily over the past five years, and although this growth often originates from companies that already have a presence in the area, many businesses are also entering the area due to a variety of favorable attributes in the business environment. First up, the number of businesses — over 100,000 as of 2018 — bodes well for colocation demand. In fact, a large number of qualified data center operators already deliver facilities, services and expertise to many of the companies in the region, contributing to a competitive colocation and cloud ecosystem. A significant amount of growth in the region can be directly tied to local business growth. According to statistics from the US Census Bureau, companies operating in DFW’s three largest counties accounted for 21.6% of all employers in Texas. The Dallas market features reasonable power costs when compared to other primary data center market. The area’s robust electrical and telecommunications infrastructure is both dense and diverse and draws businesses to the area, as well. The Equinix Infomart, with the Dallas skyline behind it. 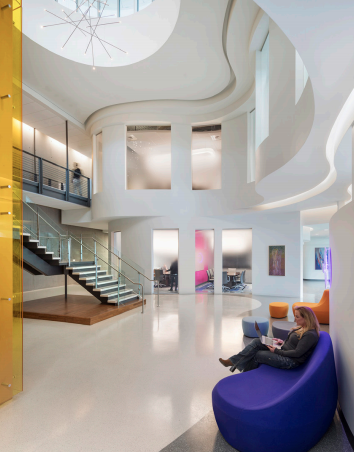 (Photo: Equinix). Lastly, tax abatement incentives serve as a draw. Texas passed legislation in 2013 to grant tax breaks for large colocation and enterprise users. A bill passed that year eliminates taxes paid on qualifying hardware and software purchases for data centers. In terms of disaster risk, tornado risk can sometimes be a concern, along with a series of small earthquakes in the area. These concerns should be remedied by data center providers in the area constructing facilities that meet building codes and are designed to withstand seasonal periods of high winds. Ultimately, the Dallas market is benefiting from excellent power and fiber infrastructure, competitive economic incentives and robust competition among service providers — and is certainly one to watch as the next wave of providers enter the market. 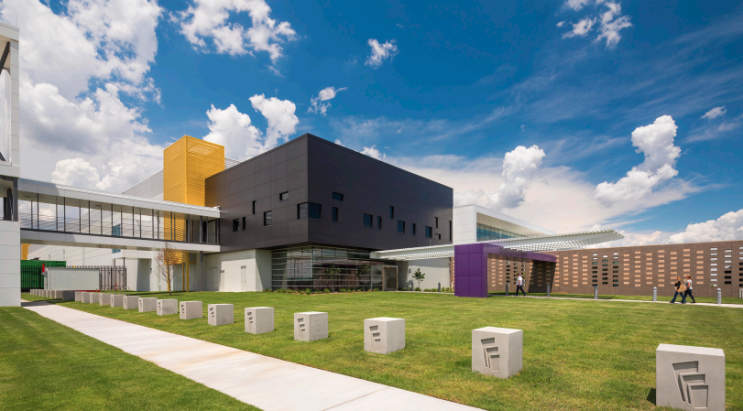 Explore the Dallas Data Center region further through Data Center Frontier’s special report series and ongoing coverage of the growing colocation industry in the Dallas-Fort-Worth area, which can be found below. 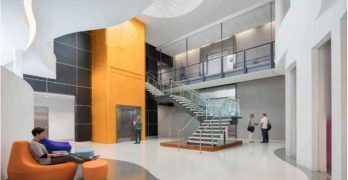 Equinix will invest $138 million to create a second data center building in the parking lot alongside the existing Dallas Infomart, expanding capacity at one of the industry’s iconic carrier hotels. The Dallas data center market is the third largest in the country. Data Center Frontier looks at data center supply and demand, and the factors that are driving a building boom in Dallas / Fort Worth. Demand in the Dallas-Fort Worth data center market often originates from companies with a large presence in the area. However, many companies outside the area evaluating the DFW market find it appealing. A new Data Center Frontier Special Report series, courtesy of RagingWire Data Centers, gives readers a full-picture view of this growing data center market. The data center development activity in the Dallas region suggests growing confidence in the future growth of demand in the Greater Dallas market. 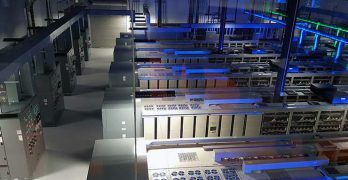 A new Data Center Frontier Special Report series, courtesy of RagingWire Data Centers, gives readers a full-picture view of this growing data center market. STACK Infrastructure has launched a new brand and data center platform play, with the backing of IPI Data Center Partners and assets acquired from Infomart and T5 Data Centers. More huge data centers are coming to the suburbs of major American cities, shifting servers closer to consumers in places like Dallas, Chicago, Atlanta and Phoenix.